I was patrolling the Otela ice belt when a Thorax appeared on D-Scan among other ships. It was another Anti-Ganking patrol day, and just like most of the courageous and patient Anti-Gankers of Highsec, I refresh D-Scan very frequently. When I first saw that Thorax appear on D-Scan, I didn't think it would belong to a ganker. After all, Otela is also a home for RvB, and you see that ship on D-Scan all the time there. About 25 seconds passed, and the Thorax was still on D-Scan. In situations like this, for additional clarity, I always reduce the scan range to about 1 AU, so that all the unnecessary clutter (stations, stargates, ships far away etc.) is removed. The Thorax was now within 1 AU. Obviously, we had a Thorax in warp towards us. Meanwhile at the ice belt, there were three vigilant Anti-Gankers. In addition to my cloaked Falcon, a Griffin was orbiting the belt, and there was a second Griffin which was also cloaked. As the Thorax belonging to Mithrawn'arudo appeared on grid and landed, I was thinking that an intelligent ganker would notice the orbiting Griffin and abort the gank immediately. Moreover, that Griffin was belonging to Pulttl, one of the most determined anti-gankers ever seen in Highsec. In spite of that, Mithrawn'arudo started approaching a Mackinaw right away. "I often set my camera to their ship and zoom in, so I can see clearly what they are doing." When a Gallentean blaster ship approaches a mining barge in Highsec, chances are some bot-aspirant ganker behavior will occur. We knew that. The orbiting Griffin pilot Pulttl was probably yellowboxing the Thorax already, while our Falcon also decloaked 90 kilometers away, followed by the second Griffin, which also decloaked, and eagerly started targeting the ignorant Thorax. [ 2014.04.06 17:40:50 ] (notify) Mithrawn'arudo, criminals are not welcome here. Leave now or be destroyed. "Some gankers however, are completely ignorant of the fact that 5 griffins are yellowboxing them and still open fire." 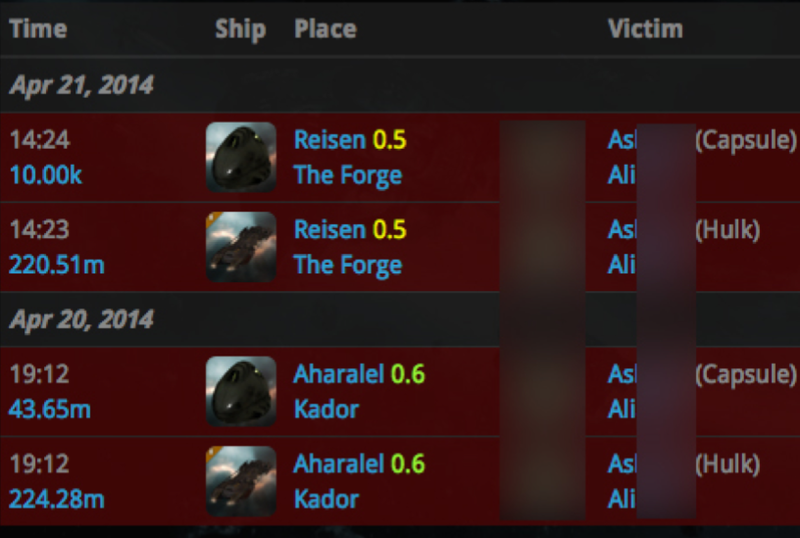 The good news is, Highsec is a competitive environment where there are multiple elements. Anti-Gankers are one of those elements. Mithrawn'arudo wanted to gank a Mackinaw with such fail-fit Thorax in Otela, a.k.a the home system for several generous Anti-Gankers. Understanding a ganker's state of mind is not always easy. Mithrawn'arudo believed that all he needed for a guaranteed gank was just a meta 3 Warp Disruptor and some blasters. The Gallentean Thorax comes with 4 mid-slots. As you can see, gankers are the worst kind of people to ask about fitting advices. He was too lazy to think and work on a proper, more acceptable gank fitting. 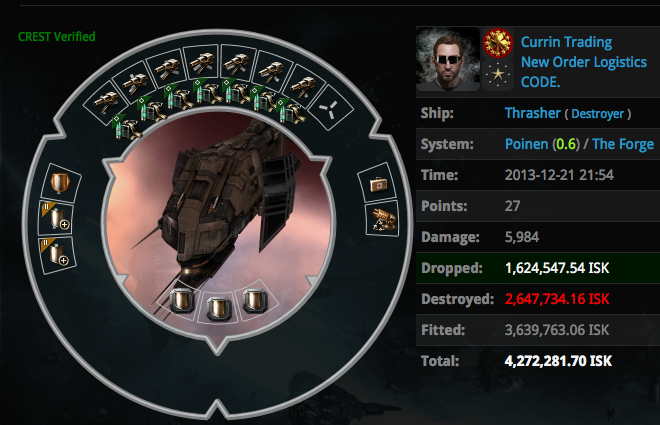 However, if we give them the necessary lessons and guidance, I strongly believe that gankers can become quality EVE players. Content Generators Pulttl, Jake Weyland, Azov Rassau and Darksien Sterne did what they had to do, and the Thorax was already being permajammed even before firing the second volley. In addition to the in-orbit Griffin's and our Falcon's strong projection of ionized particles which permanently disrupted Mithrawn'arudo's sensors, Darksien Sterne did an exemplary gesture by sending Vespa EC-600 ECM drones from his Mackinaw's drone bay. Meanwhile, Jake Weyland was so generously excited that he sent a little rusty gift joke by activating a Minmatar jammer on the Thorax. As usual, Content Ruiner CONCORD Police Commander ****ed on the Killmail without preventing anything. The vital intervention was already being done by real players about 19 seconds ago. Another miner was saved, another ganker was educated. As I said before, guidance is also an important part of my personal anti-ganking effort. The Thorax doesn't really have a huge DPS advantage over the Catalyst, but if Mithrawn'arudo insists on the Thorax, our guidance will also cover that ship. Click here to see our official gank Thorax fitting advice for him. Feel free to share your opinions as a comment. Remember gankers; it's never too late to mend. Months ago, I had shared with C&P community my ingame observations on suicide gankers, but with time, I also had occasions to make many observations on miners. (The gameplay of anti-ganking is among few activites that lets you see both sides so closely). 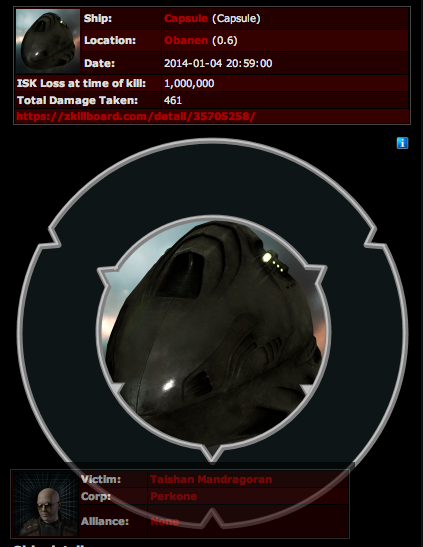 In this post I hope to pull their attention to the fact that D-Scan is extremely important for their survival, but also highsec in general. D-Scan remains an extremely useful tool for PvPers in Lowsec for example. For many of them, entering a new system often means refreshing the scan results. In Highsec, however, especially in the miner community, I feel a lack of interest on this tool. I have seen Highsec miners who found it complex to manipulate, while some miners didn't even know the existence of this tool. But most of them seem to be lazy about using it, they don't really feel incited to use it, because they will have to click very frequently. As a ganker (and former raging mining carebear) I find that 99% of ganks are avoidable even if you are in an untanked ship by just paying attention and being aware. 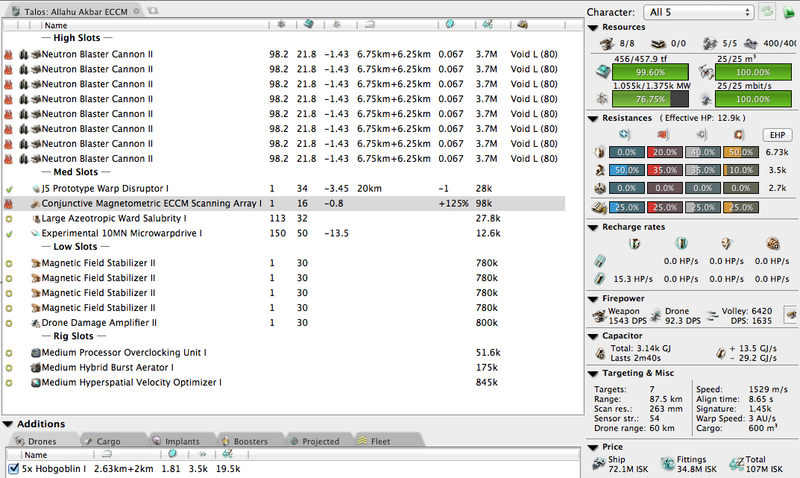 In EVE, the only very similar tool is the Directional scanner. Of course, EVE remains a game and we shouldn't have that many details but, is Highsec so much safer that you don't even dare to use this single tool which can save your ship? If you can't manipulate it, how can you be safe in space? How can you want to be safe in space? Highsec does have risks, just like real waters which (still) have piracy and accidents. Today, a merchant ship's crew, and most importantly the ones on the bridge, must be constantly alert, aware and careful about their ship, but also their surroundings. 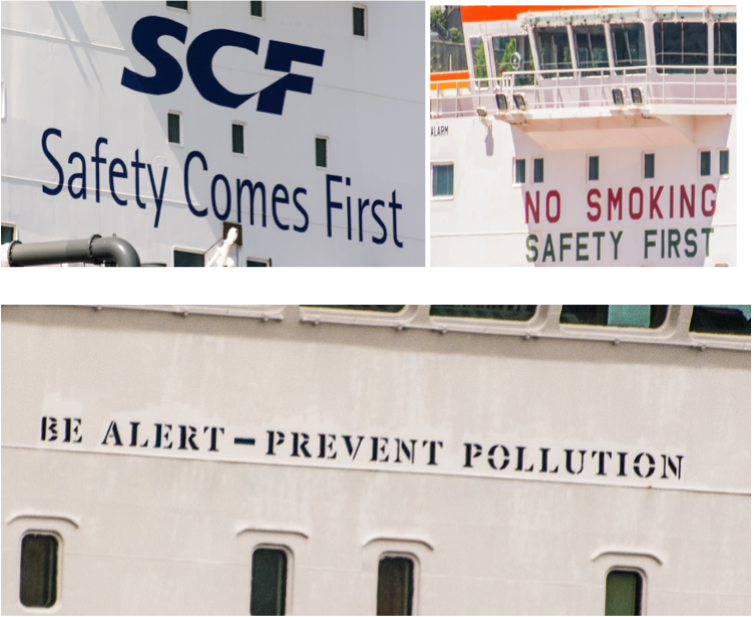 Some of the signs/messages written on the ships themselves: an example of the importance given to safety and alertness. In the same way, a Retriever/Covetor/Hulk (or w/e) pilot must be alert (D-Scan), careful and adaptive. If not, he will face serious consequences too. It could be said that, an alert miner is often a safe miner, but such alertness, if combined with good fitting, can bring even more safety. Since it's a slower ship, the fitting preferences become priority for Orca pilots. 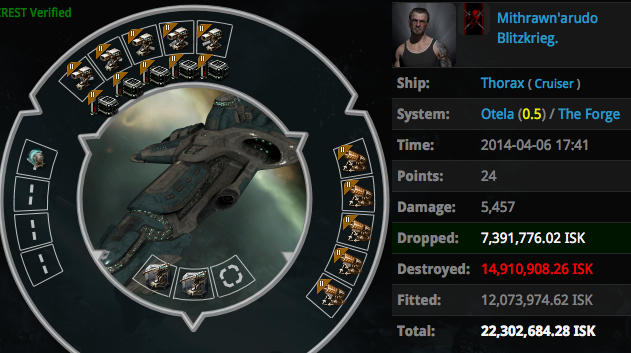 A Damage Control II, along with Reinforced Bulkheads II, will make the Orca a much tougher target for most gank fleets. Visit AstralServices.net for more details. (and since there are already lots of untanked Orcas around, the gank scout will most probably ignore you and shipscan another Orca around.). 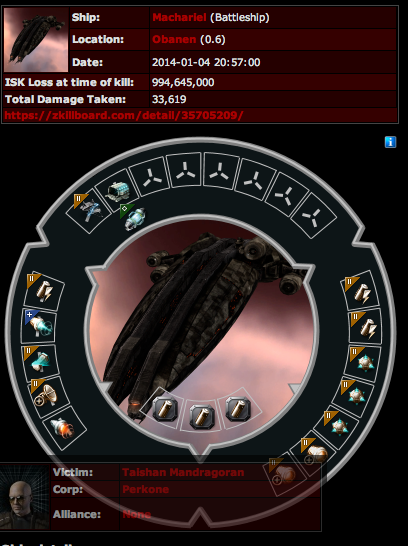 Most Orca pilots, unfortunately don't learn a lesson from their losses, and keep losing their valuable assets continuously and regularly: below is one of them, and it’s the same pilot, not two different pilots. 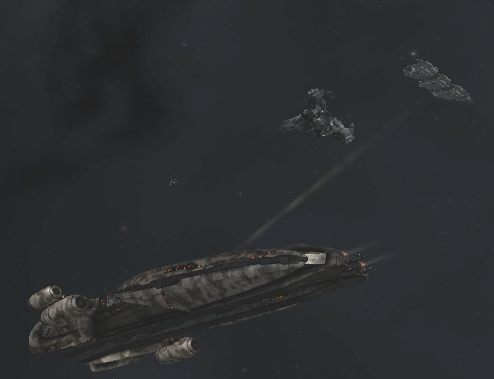 ISK tanking Hulks? 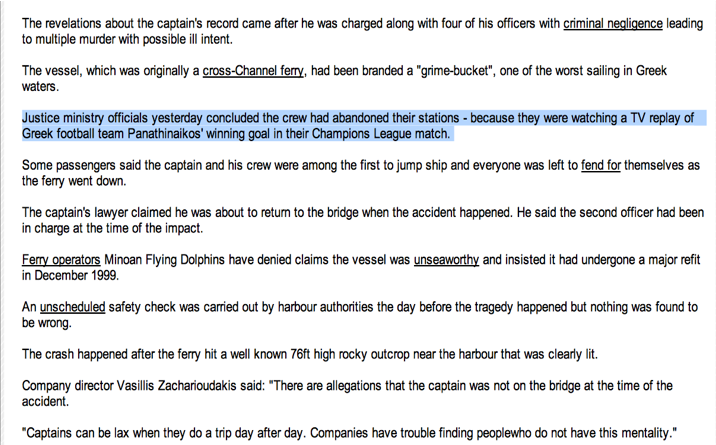 No way, don't do this to yourself: below is a Hulk pilot who lost 2 Hulks and 2 Pods in less than 24 hours. D-Scan alertness becomes priority for a Hulk pilot. Sure, try tanking it, but it's a fragile ship anyway. I am not gonna repeat what D-Scan does, but what exactly do I mean by D-Scan alertness? I mean refreshing the scan results about every 5-10 seconds while mining. (That might sound horrible for many, but a frequent refresh means better safety). Upon seeing a Catalyst spike on it (or ships like Talos, Thorax, Brutix, Thrasher, Tornado, align to a celestial (full speed, don't stop the damn ship after clicking align, be ready to warp). You don't have to warp away immediately and you can keep mining in this period, just stay aligned. Once those bot-aspirant Catalysts appear on grid, warp off. Even though you were not meant to be targeted, you guarantee the safe GTFO of your mining ship. Setting a good range for D-Scan is also worth mentioning. If there are stations, stargates within 14 AU of your mining area, I recommend reducing your scan range to about 1 AU to remove all that clutter. This way, the scan results will show what is close to you, and most probably, what is in warp towards your area. 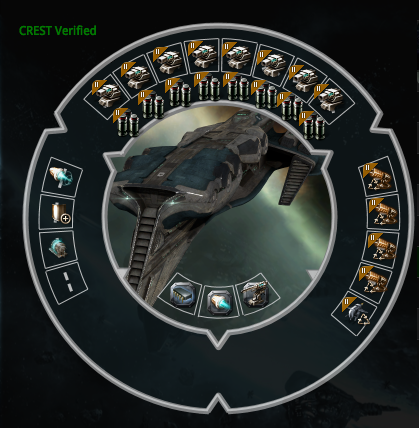 Set your overview so that it does not show any mining ships & exhumers (combine this with the D-scan result option). This will let you notice possible gank scouts right away. If, for example, a ship like the Anathema approaches you too much and stops, this is a very bad sign. 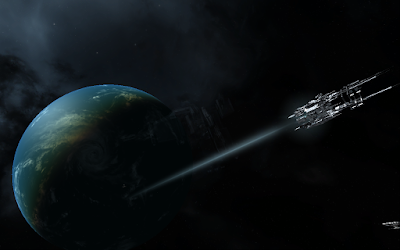 That Anathema (or any other ship that hugs your ship) eventually becomes a warp-in for a gank fleet. Of course, some gank scouts are clever & smart enough to use Procurers. Again, if it approaches you way too much, the same scenario can happen. → For the Ganker: more and more firepower needed. → Anti-Ganker: gets progressively replaced by God-like, NPC 'space cops'. → Miner: A stronger CONCORD means less incitement for criminality in highsec, and therefore less ships to be destroyed, which might reduce the sell price of your precious minerals. And with the lack of highsec ganking done to you, you will be lacking the action you need in order to enjoy EVE. For a better Highsec, it is important to use the already-available in game tools before complaining to CCP. 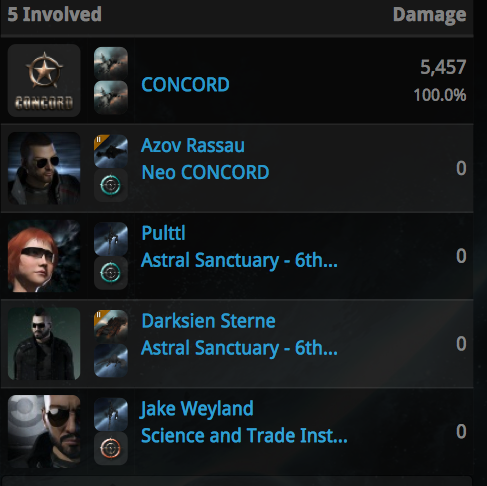 Do something for your own protection, instead of asking CCP to do it. They have given you the tools! And gankers are surprisingly easy (and fun) to avoid. It's absurd to constantly insult and blame suicide gankers. You can't imagine highsec without them. Love them or hate them, there will always be people making sure Highsec remains alive. Highsec Miners: It’s up to you to be cautious. Have a respect for the following: your own safety, your ships, your assets, and most importantly the way this games works. Stay Alert & Safety Always. Catching outlaws at Highsec gates while they head to their target has always been one of my favorite activities. It is another confirmed way of effectively disrupting their operations by simply using the existing game opportunities and mechanics. "I forget his name, but this guy in Caldari space sits on highsec gates in a battle skiff and tackles any red blinkies he finds. Ive watched him point 2 catalysts at a time, tank them, and kill them." Currin Trading is another bot-aspirant "pod-hunter" who wanders across Highsec. He was spotted in his outlaw Thrasher without a ganking permit in Poinen. One thing gankers fail to realize is: Anti-Gankers also do make plans, traps and above all, create emergent gameplay. As the commander of my Skiff of Doom, I was responsible for quickly figuring out Currin Trading's route and choosing an appropriate stargate, which is exactly what I did at the Josameto gate in Poinen. Anti-Ganking requires a lot of patience, but many of us don't have a problem with that. Apparently, Currin Trading wasn't that organized. Not only he failed to keep a scout eye on the surrounding systems, but he also thought that he could freely and safely navigate in Highsec with such security status. Eventually, he foolishly jumped into our gatecamp of permit inspection. …Not this time. The moment he decloaked, a triple wave of warp disruption was almost instantly sent from our Skiff to Currin Trading's bot-aspirant Thrasher. About 15 seconds after being tackled, Currin Trading finally realized that he couldn't warp. Gankers tend to have slower brains. No doubt the bot-aspirant, repetitive acts of ganking slowed down their reactions. Doomed, messed-up and frustrated, Currin Trading tried to test his chance of ganking something before being thrashed by the faction police. At that moment, in addition to our Skiff, there was also an Augoror Navy Issue and a smaller ship like Slasher or Echelon on the gate. (IIRC, because this is old and I didn't have my dashcam in those days...) Interestingly enough, the Slasher was a robot-like, monotonous spotter alt for another Industrial ganker in that area. Currin Trading finally tried to gank that Slasher. The gank attempt failed miserably since the Slasher pilot wasn't AFK and swiftly warped away (or jumped through the gate). Also, faction police was already in the area. Another heretic in a Thrasher was successfully punished. 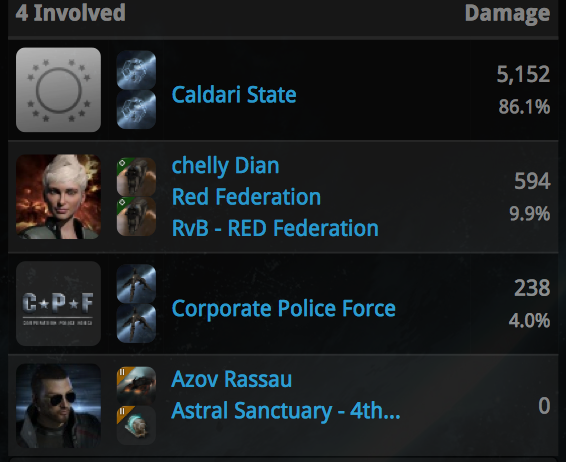 Content Generators chelly Dian and Caldari Police 3rd Lieutenant also contributed to this noble intervention, while Content Ruiner Caldari Sentry Gun III KM ****ed the whole thing. In order to stay alive while performing his robot-like ganks in front of the gate guns and their DPS, Currin Trading had preferred to fit some shield tank, but he did not have a valid ganking permit. The problem is, when it comes to this kind of gankers, our invincible Skiff always wins, no matter what, in all cases. "it stops them from even reaching their target, and gives them a feeling that it might be tricky to actually reach their target in this area. I have seen gankers move elsewhere or stay docked after being catched." Indeed. Only 1 hour after our disruption, Currin Trading was already settled in Hek, 23 jumps away. Yuck. All gankers are advised to get a proper ganking permit for their operations everywhere in Highsec. Not only it guarantees your operations, but it also makes you a better EVE player. There is no denying it: the Machariel is an exquisite, powerful battleship. It's agility, design and ability to have capable fits make it a special choice for many capsuleers across the great cluster of New Eden. 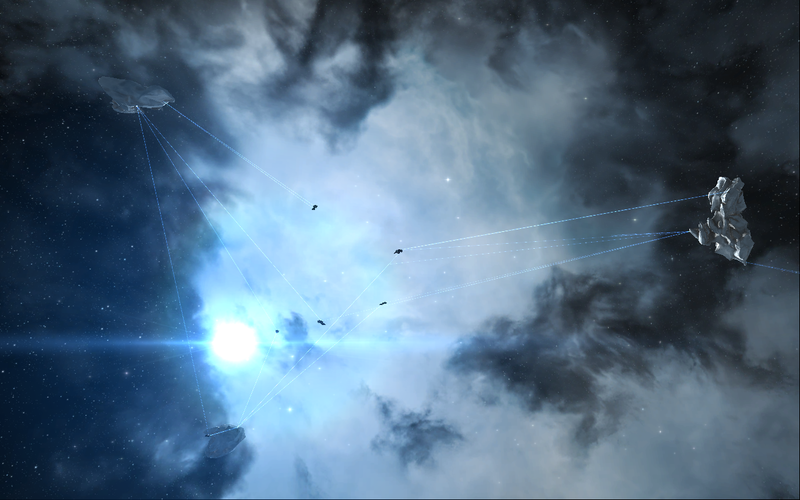 In Highsec, this ship has an additional, laughable role: freighter bumping. Don't get me wrong, though. In a sandbox like EVE, you can fit your ship the way you want, for the purpose of your choice. Taishan Mandragoran is one of the several freighter bumper alts belonging to the bot-aspirant, multiboxing Talos gank fleet of Aedaric. I do appreciate the Highsec content that comes from the ganks, then why do I call them bot-aspirants? Aedaric's automated, robot-like behavior has become a danger of its own. The first sign of bot-aspirancy is basically confirmed by the obvious fact: multiboxing. 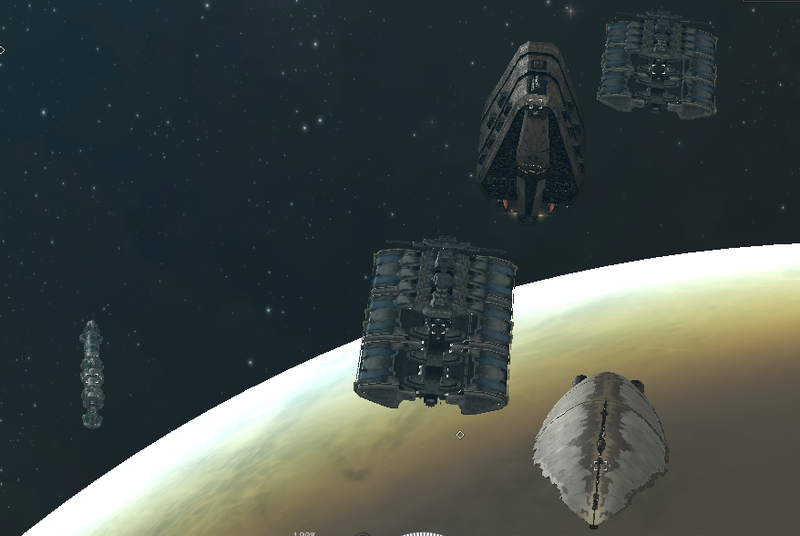 Unlike a normal fleet where each member is controlled by a real player, a multiboxing fleet of Taloses is a disgusting sight, for they move, act and look in the same way, just like a multiboxing mining fleet. Their standard Talos fit is also one that can make any ECM anti-ganker laugh. See that remaining empty mid-slot? That, my friends, can result in a disaster for this fleet, since a single well-skilled Falcon can successfully jam about 7 of these Taloses without a problem. During one of our anti-ganking patrols, just the presence of our Scorpion on grid had caused the whole Talos fleet to cancel the gank just before landing on their target. They headed backwards, and left Local. 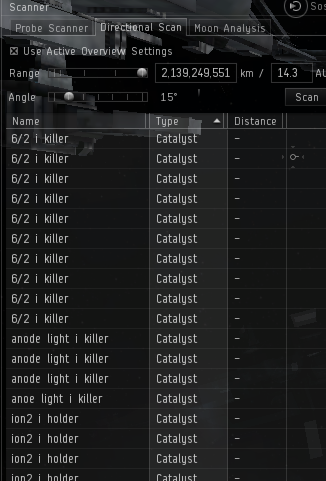 One of my priorities in EVE is to make such capsuleers better gankers by giving them guidance, education and surprise magnetometry.When I had insisted in my forum thread that all Catalysts should have at least one ECCM module for a guaranteed gank, I had received, instead, a nice amount of ganker tears who (incorrectly) cried about fitting problems, CPU and Powergrid. Well, that false excuse doesn't really work in this case either. 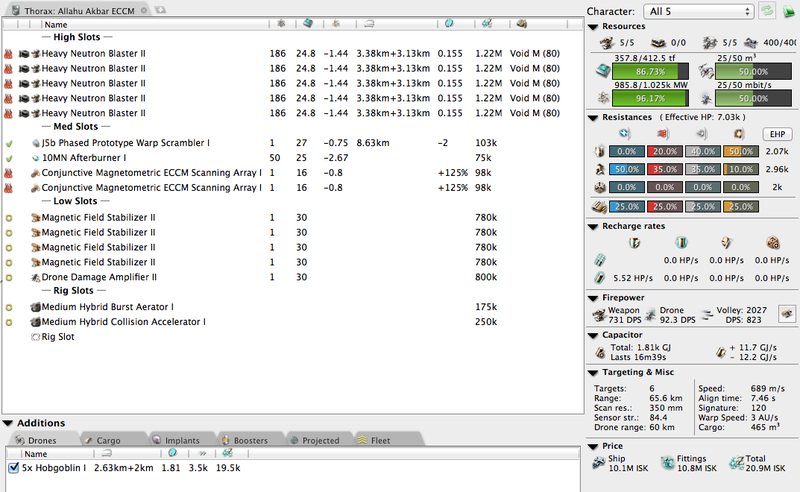 As you can see, the elevated level of bot-aspirancy seen in this Talos fleet results in the lack of clever modules like ECCM. That module, if you think about it, is another way for gankers to express their ganking permits and their love for us. In this case though, we notice that this fleet fails to express a permit and their love for our Falcons. What is more, another sign of bot-aspirant behavior appears in Local chat whenever this fleet engages a Freighter: some robot-like drivel gets spammed by Aedaric. [ 2013.12.08 17:50:08 ] Aedaric > ATTENTION: PUBLIC SERVICE ANNOUNCEMENTAedaric's Mobile Grief Center has serviced another lucky capsuleer. Please remain calm. For information regarding your safety, open a conversation.The odds are, in fact, not in your favor! If you remember the bots in Jita, you'll easily notice their similarity to the above statement. EVE is a game about consequences. Let's get to the consequences. 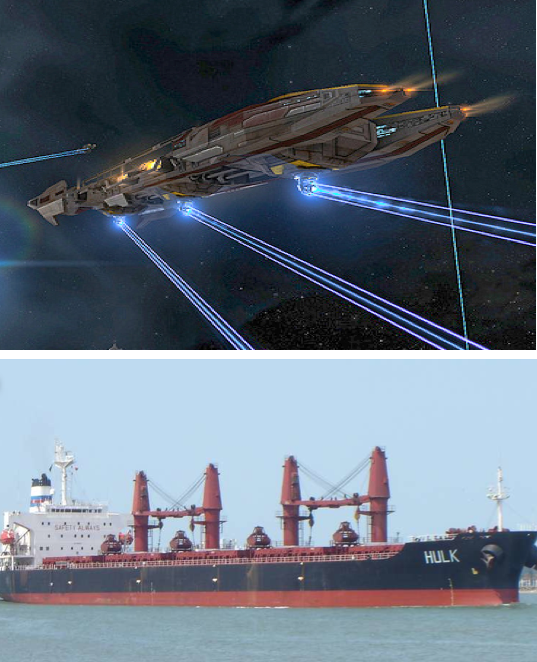 Taishan Mandragoran was once again monotonously cargo-scanning freighters that appeared on his grid. This could be the most robot-like and boring role for a Machariel in whole New Eden. One might think that, what follows is another freighter ganking operation, including a price-check on EVEPraisal followed by bumping, and then providing warp-in for the Talos fleet which is supposed to gank the freighter. However, bot-aspirancy and spatial unawareness is not acceptable, especially in a ship like the Machariel. As a result, Content Generators Alhan Gaya, Dekiranu, doomhearted, Votre Dieu, FauztX, Megamaks T44, Capqom Solette, SERJANT UA, Artem Ice, Sobaka Zlaya, Urgent Fury, Dmitry Kuvora and Geras Ser liberated him from this dangerous behavior. If he had paid attention, he would notice that warp-in hugging his ship, as well as the Catalyst/Thrasher spike on D-Scan. Yet the “mighty” Machariel was demolished within seconds. Angel Cartel (designer of the ship) must have had a day of shame. Even the most shiny Microwarpdrive will not save you if you don't pay attention. It could be said that, a careful pilot who spams the Warp button while losing his ship, can almost always escape with the Capsule, thus avoid being podkilled. Taishan wasn't careful enough though, and Content Generator FauztX delivered the additional punishment. 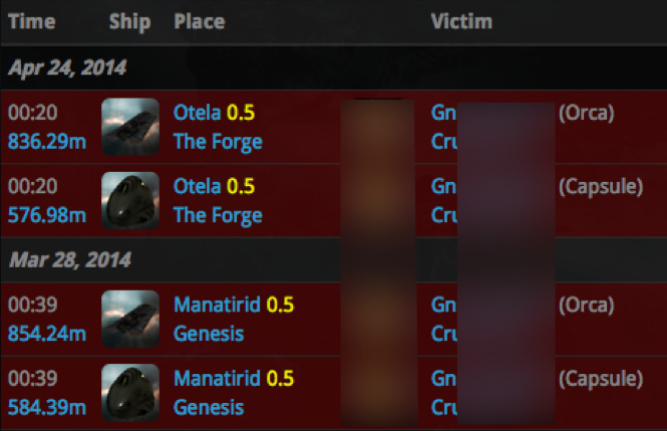 The conditions of Highsec are the same for all, even for the gankers and their alts: It is not 100% safe. Check D-Scan, Check Local at all times. My in-game name is Azov Rassau. 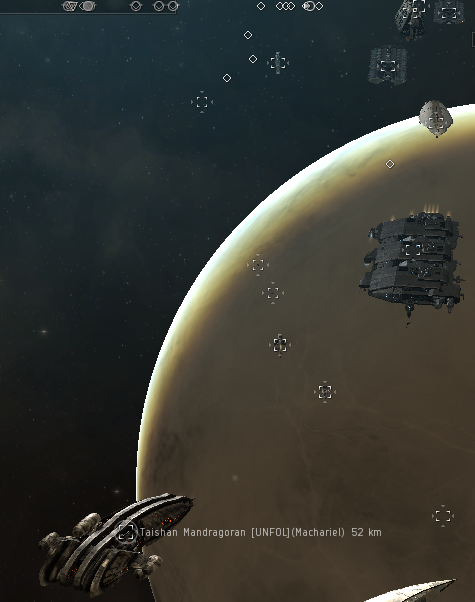 I'm a miner, anti-ganker and a pirate who likes to create content both in Highsec and Lowsec. In this blog, I will share some memories, past & recent stories and informative guides. This blog supports Content Generation, Chaos, Fun and Ganker Tears. The goal is to present, promote and illustrate in-game actions that can be taken against gankers. There is no hatred here. Just fun times. Comments full of insults and hatred will not be tolerated.